The moment of truth: The creamy pasta dish sounds delicious, but it’s 500 calories more than the grilled chicken and vegetables. Do you order it? In many cases the answer is yes, say researchers who have studied what happens when calorie counts are included on menus. More diners will open their menus to find calorie counts under a proposed federal law requiring the counts in restaurants with 20 or more locations. Health advocates and restaurants say the law could be finalized by the end of the year. A Food and Drug Administration spokeswoman says details of the law, first proposed as part of the 2010 health care bill, are still being worked out. It could also require grocery and convenience stores to list calories on prepared foods. Many restaurants are reworking recipes, swapping in whole milk for cream or putting less oil in cooking pans. Some are adding less sauce to dishes or offering smaller portions. Many are creating lower-calorie sections on menus or sticking to calorie guardrails, designing dishes to come in under 500 calories, for example. Several chains such as Starbucks Corp., SBUX -0.72% McDonald’s Corp., MCD +0.51% and Panera Bread Co., PNRA -0.10% voluntarily post calories on menus nationally. Guess which restaurant items have fewer calories. The restaurants hope to attract diners who say they want healthier options (even if they don’t order them) and those who say they like to know calorie information (even if they end up ignoring it). Research on how calorie information on menus influences purchasing behavior shows mixed results. Some large studies show that customers who said they noticed the information or were exposed to it for a longer period bought fewer calories. For example, a study funded by the City of New York that reviewed about 15,000 receipts and surveys from fast-food lunch patrons before and after the city required those restaurants to list calories on menus showed no change in the average calories bought. But 1 in 6 people used the calorie information, and that group purchased an average of 96 fewer calories, an 11% decrease. A handful of cities, including Seattle and Philadelphia, already require calorie counts on menus. The Cheesecake Factory reduced calories in its Bistro Shrimp pasta by using less sauce. Next month it will be 2,440 calories, not 2,980. Smaller studies have shown that the calorie information has no effect on purchases. One recent example from Carnegie Mellon University showed that if customers are given a pamphlet with recommended calorie information before entering a restaurant that has menu calorie counts they purchase slightly more calories. Seventy-one percent of people say they want healthy options when they eat out, according to an internal survey from Darden Restaurants Inc., DRI 0.00% the largest full-service restaurant company in the U.S. and owner of chains including Red Lobster and LongHorn Steakhouse. “What’s tricky is they might not always eat that way,” says Cheryl Dolven, director of health and wellness for Darden. About 65% of people say they favor nutritional labeling in restaurants, according to a 2012 survey from Technomic Inc., a restaurant research and consulting firm. Earlier this year Darden hired five people to analyze the nutritional content of potential menu items at various points during research and development, says Ms. Dolven. Typically, Darden and other companies would do this testing right before a new dish goes onto menus, she says. Now Darden menu-development chefs use the team to understand “wow, we are way over on calories and the calories are really driven by the oil in the sauté pan,” and then make adjustments, says Ms. Dolven. Lower-calorie sections have been added to menus at many Darden Restaurants in recent years. 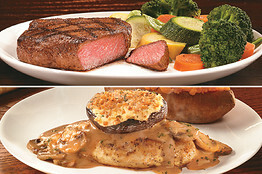 LongHorn has a “Flavorful Under 500” menu and Olive Garden a “Lighter Italian Fare” section with items under 575 calories. Across all brands, it plans to reduce sodium and calories 10% by 2016 and 20% by 2021. Darden has featured menu calorie counts where mandated by law, about 180 restaurants. “Some people hate it,” says Ms. Dolven. They think “uh, I didn’t want to know that,” she says. Last month a Drexel University study found fast-food restaurants in areas where calorie counts are required on menus have a higher percentage of healthy menu items, but showed no difference in the nutritional value of menus overall. Restaurant calorie counts aren’t an exact science, as one cook might throw a larger handful of cheese into a salad than another. Industry executives say the federal law will likely provide some flexibility on accuracy as there is under FDA regulations for packaged food. For example, a box of cereal listed as 100 calories per serving can actually be up to 20% higher or 120 calories per serving. To reduce calories, restaurants are scooping the dough out of bagels used for sandwiches or using less cheese among other tricks, says Betsy Craig, chief executive at MenuTrinfo, a Fort Collins, Colo.-based company that calculates nutritional information for restaurants and advises on recipes. 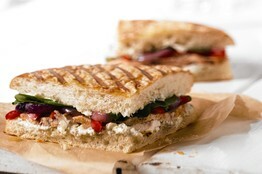 Panera’s Roast Turkey Artichoke Panini, a surprising 1,100 calories, was considered a ‘gotcha’ item for diners. It is now 780 calories. After years of landing on the annual Xtreme Eating list of high-calorie restaurant food published by the Center for Science in the Public Interest, the Cheesecake Factory CAKE +1.45% is reducing calories in two pasta dishes by using less sauce, says David Overton, founder and chief executive of Cheesecake Factory Inc., a 163-location chain. 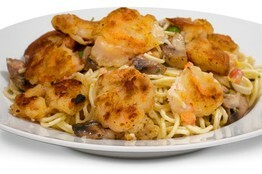 Next month, the Bistro Shrimp Pasta will fall to 2,440 calories from 2,980, according to the restaurant. The Kids’ Pasta with Alfredo Sauce will be 1,290, down from 1,810. “I was sick of winning that prize,” says Mr. Overton of the CSPI list. A person needs between about 1,800 to 2,800 calories a day depending upon activity level, metabolism, gender and other factors, says Kristin Kirkpatrick, a dietitian and wellness manager at the Cleveland Clinic’s Wellness Institute. Salads with creamy dressing or cheese, full-fat yogurt, smoothies, and anything fried can be unexpectedly high-calorie, she says. Calories are, of course, just one gauge of the healthfulness of a dish. Some restaurants wear calorie counts like a badge of honor—and use them as a marketing tool. Mad Greens, an 11-location salad chain based in Denver, added calorie information to menus in 2010 as a way to try to stand out from other quick restaurant meals, says chief executive and co-founder Marley Hodgson. “Our goal is to kind of get close to a 500- or 600-calorie meal,” says Scott Davis, chief concept and innovation officer for Panera, which says it was the first national chain to introduce calorie information on menus nationally in 2010. When the company first compiled nutritional information in 2008 it reworked some “gotcha” items—for example, a turkey artichoke panini with a deceptively high 1,100 calories. On a current Panera menu of limited-time dishes, in order to come in around 300 calories, salads are served with a side of olive oil and half a lemon that can be squeezed on as dressing, Mr. Davis says.